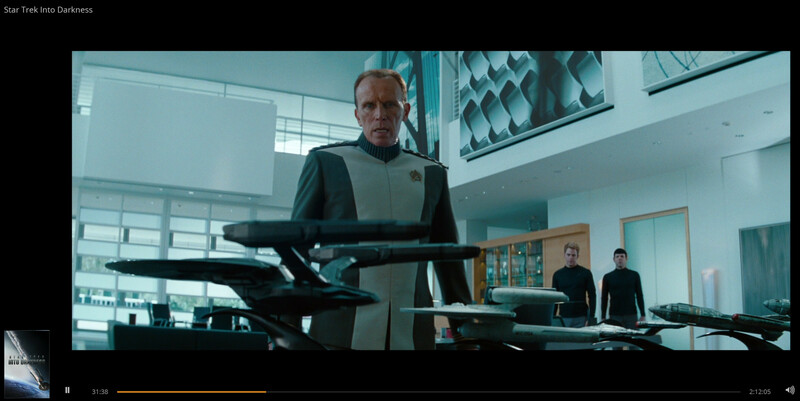 Why is a model of the dreadnought class Starship in Star Trek Into Darkness in plain view. I thought it was supposed to be a classified project? In the below scene it is in clear view on the Admiral Alexander Marcus's desk. In memory-alpha.wikia , USS Vengeance it even states this, but there is not an explanation? This was addressed by the film's writer, Bob Orci. The short answer was that it was (out-of-universe) a production goof and (in-universe) justified by making the model an experimental design, itself based on a pre-existing non-military design which wouldn't have seemed out of place on the desk of a Starfleet Admiral tasked with overseeing ship construction. Bob Orci: Agree that was a mistake — shoulda been on set that day! However, one could argue that a pre-existing design was recommissioned and altered to be a weapon of war. Not the answer you're looking for? Browse other questions tagged star-trek star-trek-into-darkness or ask your own question. Why does the model ship in Picard's ready room change?